Imagine losing five months’ rent–$3,750, before being able to evict a deadbeat tenant. That’s exactly what happened recently to a landlord in Québec as his professional tenant played the system and lived rent free. How could this happen? The tenant was allowed to delay the eviction hearing–three times! According to a news report, this tenant was allowed more time after she claimed she had just been released from the hospital after a car accident. But her former landlord claimed he saw her out shopping with her friends that same day. Horror stories like this from landlords who waited as long as nine months to have their eviction cases heard–while their tenants meanwhile lived rent-free, finally prompted the Québec Rental Board to change its rules in an effort to prevent tenant abuse. Yet, because of a loophole in the new rules, the tenant in this case was able to remain in the rental property for months while she apparently made up reasons for not being able to attend the hearings. “The Rental Board is an administrative tribunal where the vast majority of parties are small-scale landlords,” says Martin Messier, President of the Québec Landlords Association. “These landlords are not always well versed in court procedure and may fall victim to procedural abuses,” he says. Québec landlords are not alone. Many landlords throughout Canada are at odds with abusive tenants, and landlord tenant tribunals become pawns in the game. Delaying the hearing is not the only way for a professional tenant to stave off an eviction. Another common delay tactic is to bring up a bad history of repairs or poor conditions on the property that justify the tenant’s not paying rent. Often, landlords are unaware of the complaint until it is raised in front of the tribunal. So how can a landlord avoid this income loss? There is no greater advocate of tenant screening than the landlord who is waiting for an eviction order. Checking out the prospective tenant’s credit history, confirming the ability to pay, and investigating the rental history are indispensable steps in a successful tenancy. Careful documentation, including repair requests and a record of all communications with the tenant, prepares a landlord to defend against surprise complaints regarding the condition of the property. Deadbeat tenants often start off by paying rent late. But landlords can train tenants to pay on time if they Report Tenant Pay Habits to Tenant Verification Service, a credit reporting agency. Knowing the landlord will report the tenant’s pay habits on the third day of each month gives tenants a powerful incentive to make regular rent payments. Bad tenants become accountable because they don’t want to hurt their own chances of finding another rental property later on, while good tenants enjoy a Certificate of Satisfactory tenancy to show their next landlord. A landlord also should avoid getting pulled into the tenant’s drama. Often deadbeat tenants will ask for a longer period to pay, or try making partial payments to delay their inevitable eviction. Their excuses may be sad and make the landlord feel guilty. To avoid falling for the strategy, it may help to remember that the rental property is a business, and there are other options for a tenant who is truly indigent. Negotiating for a longer period of time is not likely to solve the problem, only perpetuate it. If it’s not possible to work out the conflict with the tenant–as in the case of failure to pay rent, the landlord should file and serve eviction paperwork as soon as possible. Indecisiveness can cost dearly down the road. Landlords who are not familiar with the procedural rules for an eviction should enlist the aid of a legal expert. Otherwise, they risk having the case delayed or dismissed– and that can mean having to start all over again. 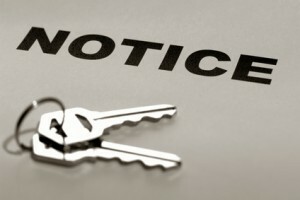 Next post: An Easier Way to Deal With Problem Tenants?